President Petro Poroshenko seems to be Ukraine’s golden ticket to becoming a member of the European Union. Recently, Poroshenko expressed his adamant determination to lead Ukraine towards a more democratic state by eliminating political corruption and implementing judicial and economic reform. Poroshenko’s domestic policy is widely supported by the Ukrainian population. In fact, many Ukrainians demanded reform during the administration of former President Viktor Yanukovych. In November 2013, the Ukrainian people responded in outrage to Yankovych’s rejection of the Ukraine-European Union Association Agreement. Under the agreement, Ukraine was to establish political and economic relations with Europe and receive aid for economic and judicial reform. Instead, Yankovych planned to pursue an economic policy with Russia. Yankovych’s actions lead to social unrest, wherein Ukrainians occupied Kiev’s Independence Square and openly protested the administration. In February 2014, after many violent protests and killing of civilians, it became clear Ukraine was on the brink of civil war. Ultimately, Yankovych fled the capital and went into hiding in southern Russia. Afterwards, further investigation into Yankovych’s administration proved that the regime was involved in political corruption, money laundering and tax evasion. The Ukrainian parliament recently issued a resolution ordering Yankovych to be tried by the ICC after his capture. His international crimes include money laundering, corruption and mass murder of Ukrainian activists. President Poroshenko, a pro-Western successful businessman, was elected as Yankovych’s replacement. However, Russia reacted with hostility to Poroshenko’s election by invading eastern Ukraine. Russia’s military occupation in eastern Ukraine is in violation of numerous international treaties including Article 39 of the U.N. Charter and the 1994 Budapest Memorandum on Security Assurances. Under the Budapest Memorandum, Russia agreed to guarantee Ukraine sovereignty and political independence in exchange for Ukraine’s surrender of nuclear arsenals. In addition to Russia and Ukraine, the U.S. and U.K. also became signatory parties to the agreement. So far, the U.S. has issued some sanctions against Russia for its invasion into eastern Ukraine. During a G7 summit in June 2014, the U.S. and its allies further condemned Russia’s military occupation and stand ready, although cautious, to issue additional sanctions. I agree with President Yankovych that the Ukrainian parliament should issue a resolution for an absentee hearing of Viktor Yanukovych. I also agree with the Obama Administration issuing sanctions against Russia for their military occupation. However, shouldn’t there be a more aggressive approach from the U.S.? Especially since the Ukrainian population seek acceptance and support from Europe and the West. 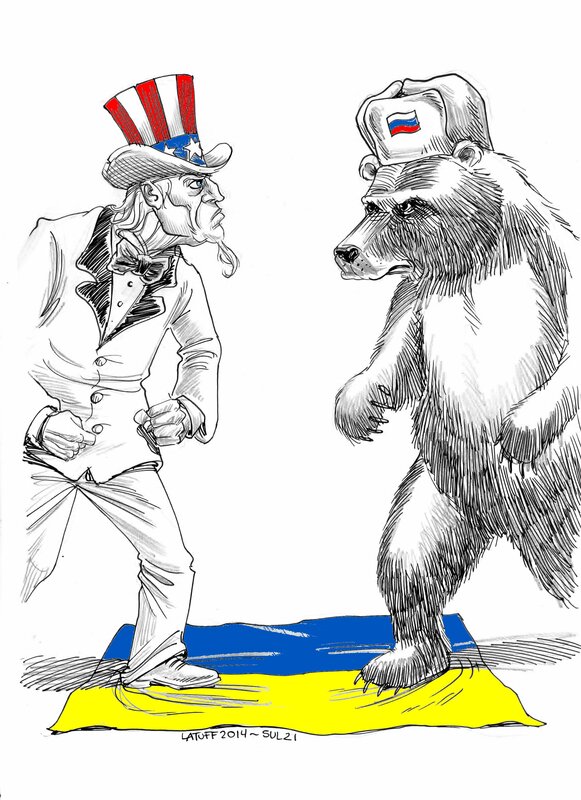 Furthermore, shouldn’t there be a joint international approach against Russia’s actions? Next SEC awards $30 million to foreign whistleblower. There are many issues and complications at play here. I think there should definitely be a more aggressive stance taken against Russia, but that would potentially lead for counter-measure sanctions. Which for Russia mean cutting off gas supplies into Europe and closing off its export market. It is difficult to reach a conclusion without realizing that Russia is too deeply rooted within the European economy and that ultimately actions against Russia will result in actions against innocent European countries. The other problem is the general issue inherent with international affairs: there is no enforcement mechanism and there can never be one unless the countries all gather together and agree to create a global government that is independent of the rest of the world. In order to address the situation in Russia more effectively, it seems that the only reasonable solution might be a compromise where Russian compliance is secured with an exchange. The scary question is, what does Russia want?